Available Colors: White, Black, Grey, Brown, Green, Yellow, Beige, Red, etc. 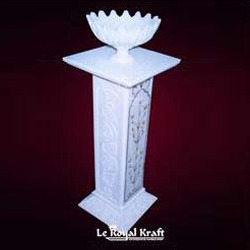 We offer a wide range of Marble Carved Pillar that is made from optimum quality raw material. Each of our pieces is prepared with perfection and dedication. 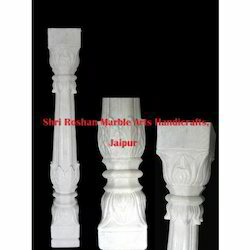 marble ashoka stambh available in each sizes. Our clients can avail premium quality of marble pillar block from us. These blocks are polished and designed under the supervision of quality controllers to ensure their flawless finish, durable design and scratch proof quality. Widely used in various places like residential complexes these are highly demanded. We specialize in offering a premium range of Pillar & Arch to our clients. These irresistible products are demanded by our reputed clients due to features like immaculate finish and distinguished patterns. Precisely crafted by our experienced professionals, our products are offered at market leading prices.